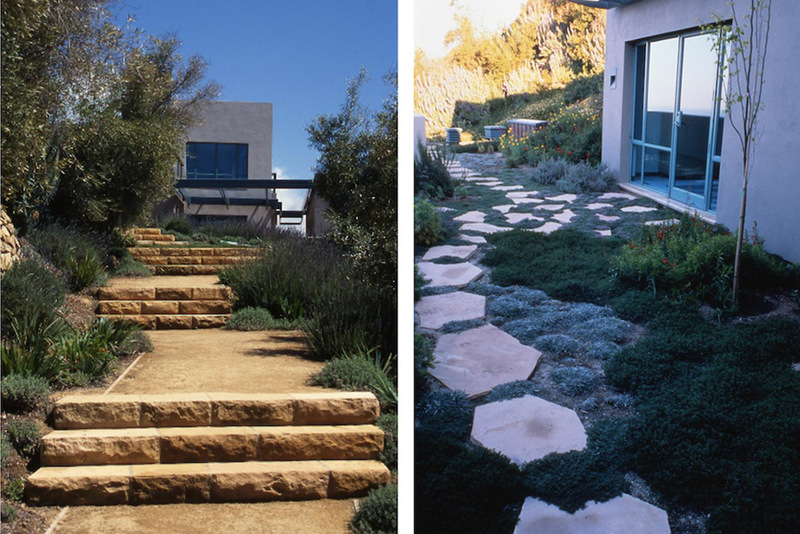 This contemporary house built onto a steep, three acre slope, features perhaps the first ‘green roof’ in Santa Barbara. 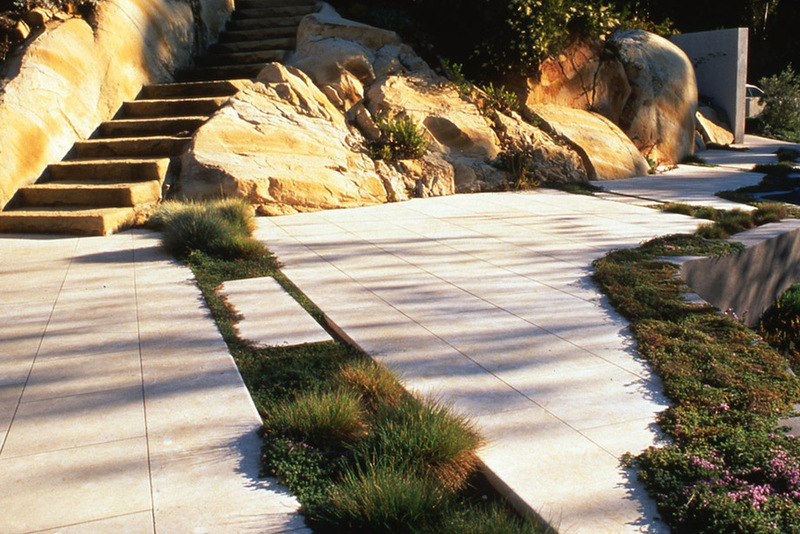 The intention behind this roof was to make the house a part of its surroundings, by turning architecture into garden, and the intention behind the planting and hardscape was to create beauty by emphasizing the best qualities of the surrounding natural vegetation and stone. 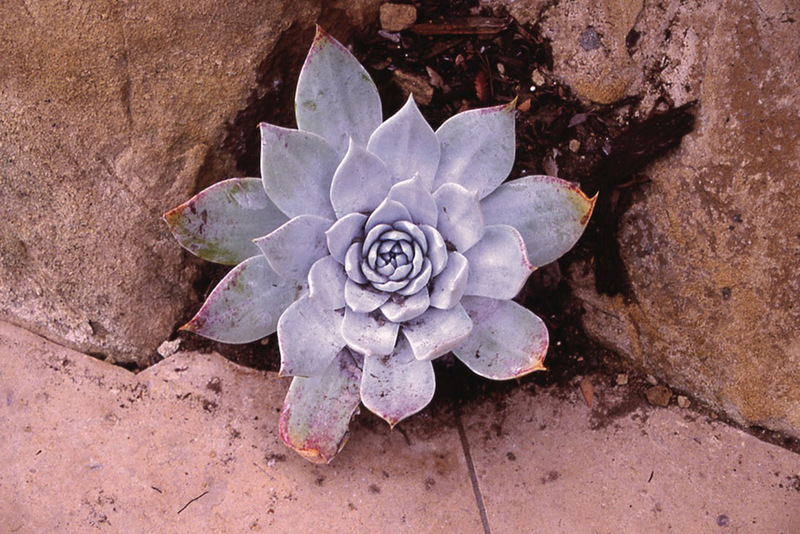 This approach resulted in environmental benefits as well. 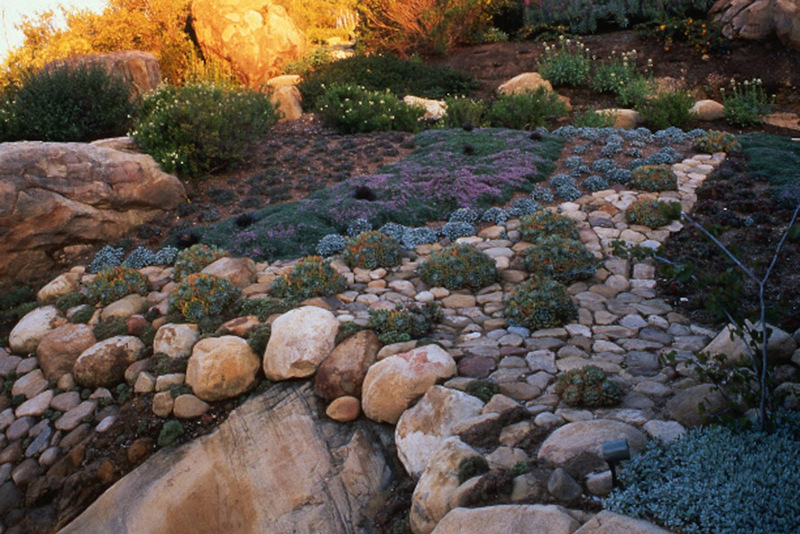 Near the house, a native ferny seep in the shade, and a garden inspired by surrounding coastal sage scrub in the sun (planted with white sage, buckwheat and chalk Dudleya) provide a low maintenance and welcoming entrance. 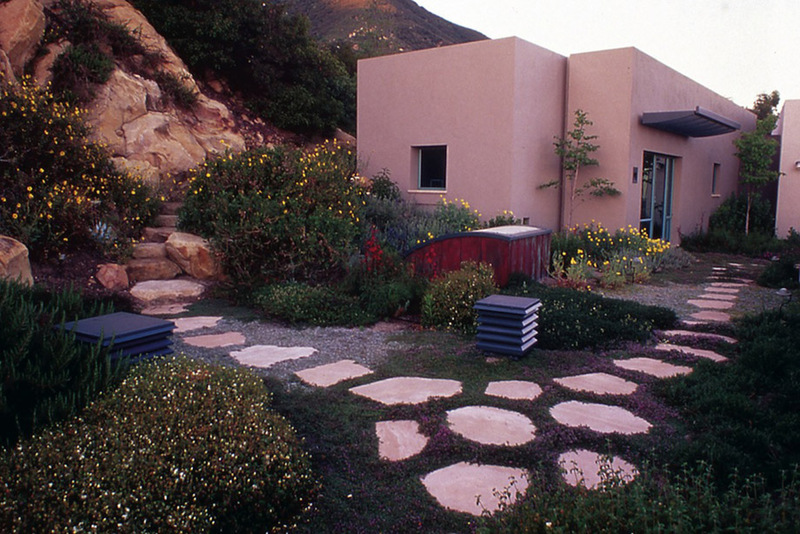 A Mediterranean Walk, shaded by olives, scented by Lavender, and constructed of stone from onsite, connects the main house with the artist studio. All of the property is accessible thanks to a loop trail of switchbacks and carved steps that weave through the chaparral, with a natural Stone Gazebo as a destination point. For privacy, a woodland of fast-growing locally native trees and shrubs was planted at the beginning of house construction. 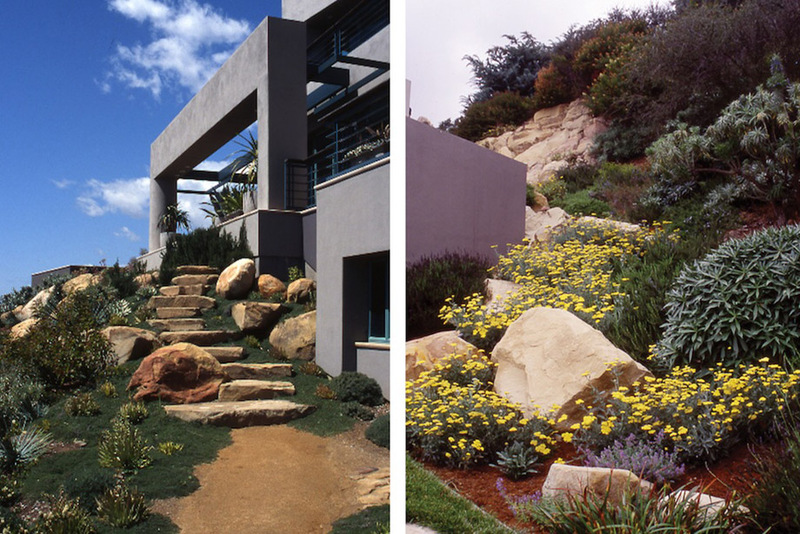 We love both the interplay and the contrast between the native California vegetation and this refined modern home.